There are some things that every soldier should know about and there are things that every American citizen should be proud of. Not only should we be thankful for our soldiers time in enlistment but be proud that the Army is taking huge steps in the effort to use sustainable energy like solar power. The Army Times is a newspaper that not only enlisted members can subscribe to but the public as well. The paper features on a regular basis the next best thing with solar usage. These feature articles can be for various sustainable technology with different things in the field and what’s new on base relative to going green. Solar highlights are right next to various articles applauding the brave and the more inspiring stories of how equal standards are for all military members now. 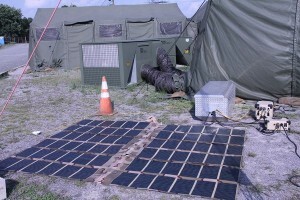 As you can see, the Army holds reducing a logistics foot print with solar power in high regard. 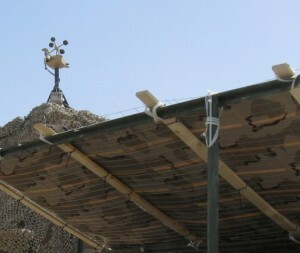 One of the ways they are using solar technology in the field is to have a battery free sniper finder. The Hostile Fire Detection Sensor nicknamed Firefly is a 360- degree surveillance apparatus that can study enemy fire, locate where it came from, and then direct the soldier on exactly where to take aim. This aids the soldier directly in finding sniper attacks in Afghanistan. This Firefly sensor can be attached to a wall or onto a soldiers’ back and uses a combination of acoustics or shortwave infrared detectors to work. This Firefly unit combines with the RENEWS technology which is already in place in the field. The acronym stands for Reusing Existing Natural Energy, Wind & Solar system. 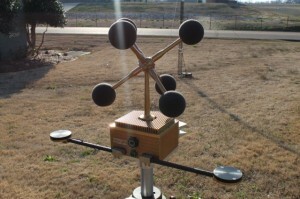 This is a kit that uses solar or wind to recharge battery packs soldiers use in the field. Changing power sources can be a hazard on the field. It only makes sense for the Army to utilize solar in a mobile way by having RENEWS kits provide the sensors with 1.2 kilowatts of continuous energy. The connection of these two systems has aided in further study of hopefully making other small unit power collaborations and have them be all the more “ARMY STRONG”. Thank you Army for your service to our country and I am proud to hear about the progress to use more sustainable methods in the military. For more Solar News check out the website below for the Army Times. Use the search feature for ‘solar’ and you can see a number of cool articles pop up. “Five things every soldier should know about battery-free sniper finder.” Army Times. 1 July 2013: Page 3.